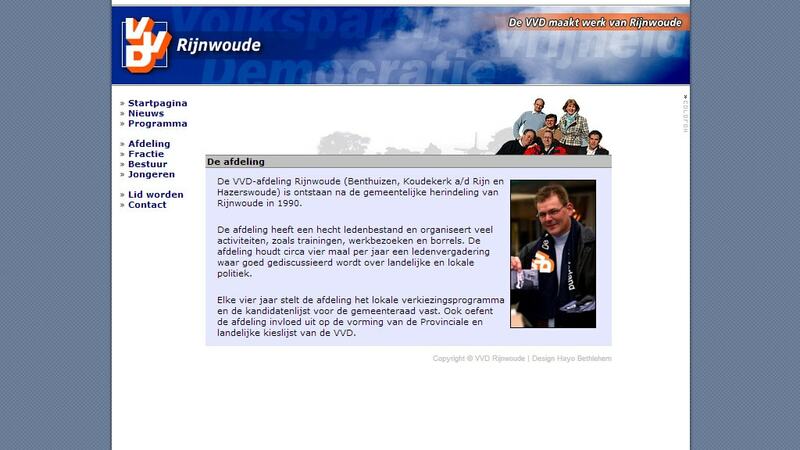 Early this week was the long expected release date for the brilliant new website for the local political party, the VVD. Boosting a very effective custom made PHP news management system, This website enables the webmaster to easily update the news. I designed the site with focus on accessibility and usability. So why don’t ya have a look then? You can find it at the following URL: (www.vvd-rijnwoude.nl).